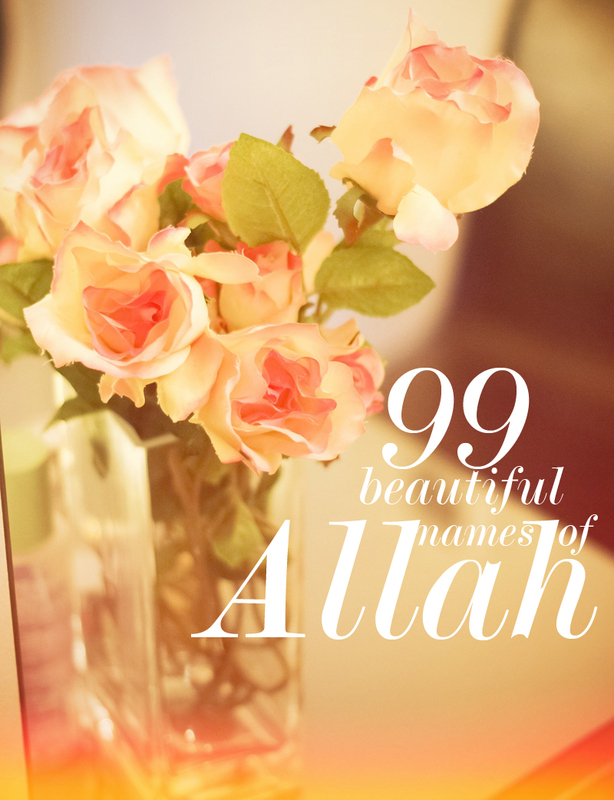 I'm not planning to post all 99 at the same time, therefore I am gonna be doing 3 posts a week containing 8 beautiful names of Allah on each post, that makes it 24 names a week, 96 names a month and the last 3 on the last day of Ramadhan inshallah. Rasoolullah (Sallallahu-alayhi-wasallam) is reported to have said: "There are 99 Beautiful Names of Allah through whose mediation we have been commanded to make Dua. Whoso learns them and rcites them will surley enter Jannah"
According to another riwayah: "Whoso commits them to memory and recites them constantly will surley enter Jannah." and then continue till the end. But note that the last letter of each name should be recited with the vowl Dhammah and joined to the next word. However, when pausing to take a breath, the last letter should be recited with a Jazm and the following word should be started with 'Al'. The first 8 beautiful names will be posted tomorrow inshallah.